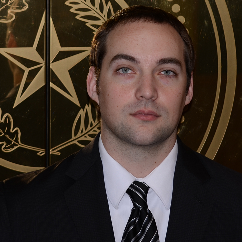 Dustin C. Lee is the President and managing attorney at Law Office of Dustin C. Lee, PC. Mr. Lee formed the Law Office of Dustin C. Lee, PC with the philosophy that clients deserve personal service, prompt contact, personal attention and efficiency in every matter. In addition to being a Fort Worth business attorney, Mr. Lee is a business owner himself. As a small business owner he understands the issues and challenges that small business owners face and that each matter requires a unique plan that is tailored specifically to the client’s goals. Dustin Lee does not have any reviews yet. I am a solo practitioner that assists individuals and small businesses with their contract, transaction, and litigation needs. For additional information, see www.dcleelaw.com. For client reviews, see https://www.avvo.com/attorneys/76102-tx-dustin-lee-1902930.html. Law clerk from May 2008 - November 2009. Associate attorney November 2009 - December 2012.